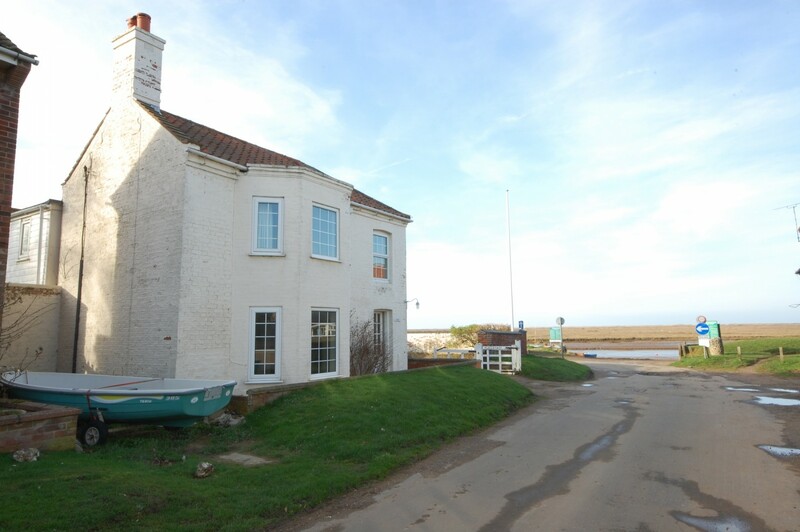 Situated at the beautiful Burnham Overy Staith, Sailor's House West has stunning river views. 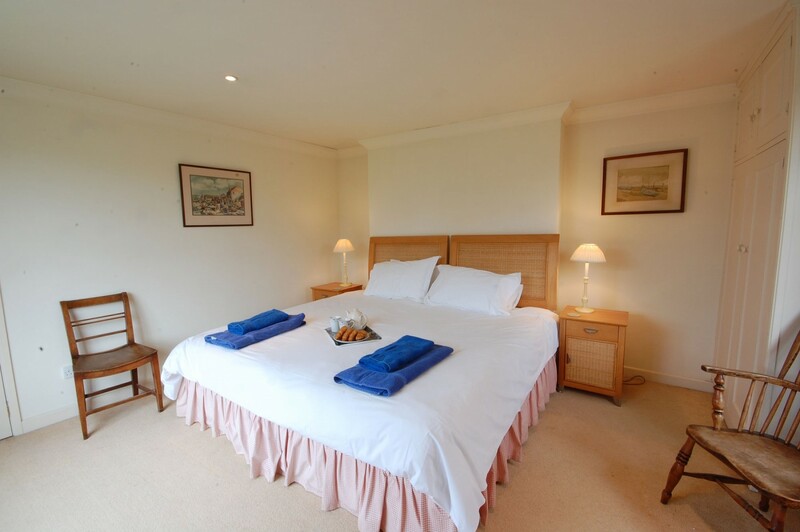 It is perfectly positioned on the sandy tidal creak with the boats lining the creek. 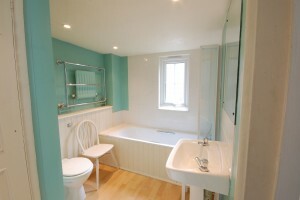 What makes this house special is the feel of space insite. Sailor's House West is a great for fun families or group holidays to the North Norfolk coast. The outside door enters into a tiled entrance hall with a cupboard for your hats and coats; this leads into a large dining space. 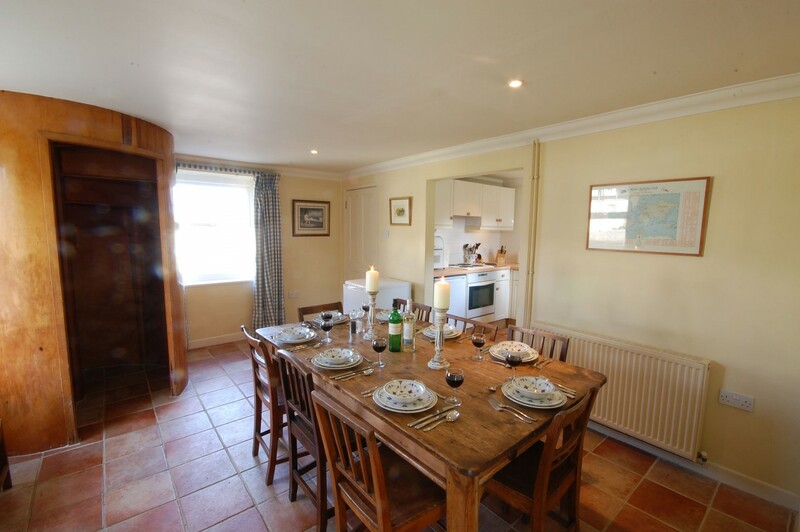 A wonderful space for family dinners, flooded with natural light and views of the garden, with a wooden dining table that easily seats 8 +. 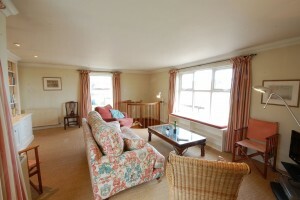 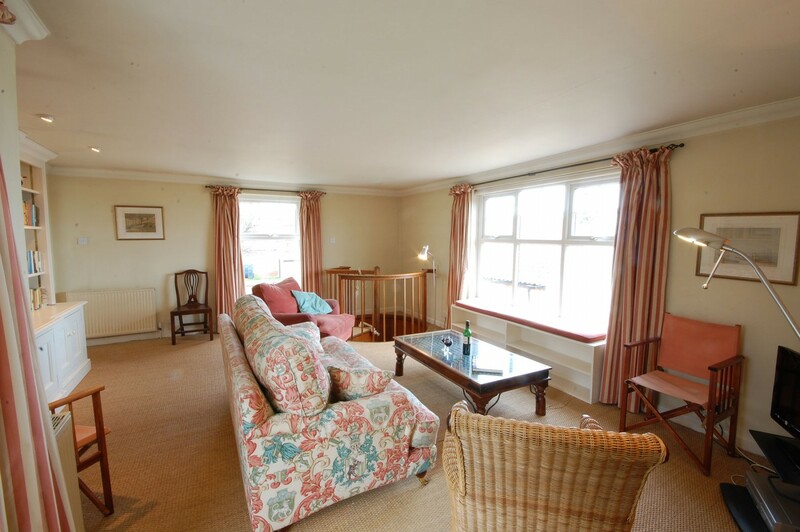 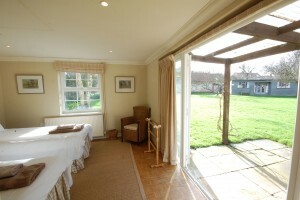 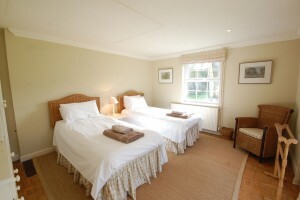 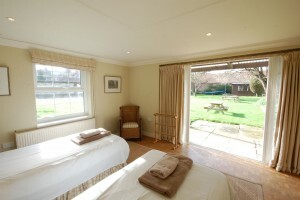 This room has views of the path behind the house, which in the spring is peppered with beautiful snowdrops. 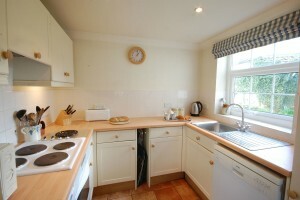 Well equipped with fridge and freezer, electric hob and oven, Bosch dishwasher and Microwave. This room has views of the path behind the house, which in the spring is peppered with beautiful snowdrops, there are twin beds in this room. From the dining room you will find a wide and enclosed feature spiral staircase with an added rope for extra security. 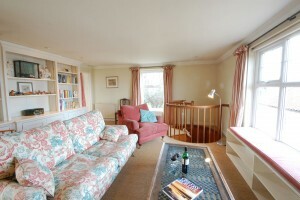 This wood staircase leads you to the first floor where you will find yourself in the living room. A great family space with striking views of through the large windows overlooking the tidal creek, with comfortable down-filled sofa and built in window seat, along with armchair, bucket chair, coffee table and a 28" LG flatscreen TV with FreeView and DVD player. A super king bedroom with views overlooking the extensive garden, with bedside tables and lamps, chest of drawers and large two door fitted wardrobe. 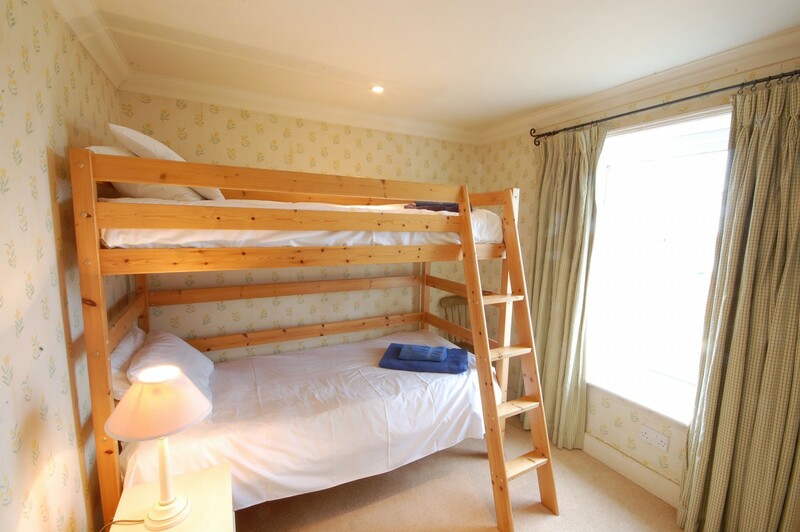 A bunk-bed room with views of the creek, with fitted two door wardrobe. The family bathroom has a bath with handheld shower attachment, toilet, hand basin and heated towel rail. There is a large garden shared with three other holiday cottages, ideal for relaxing in with friends and family, and ample car parking along with a shared utility room. 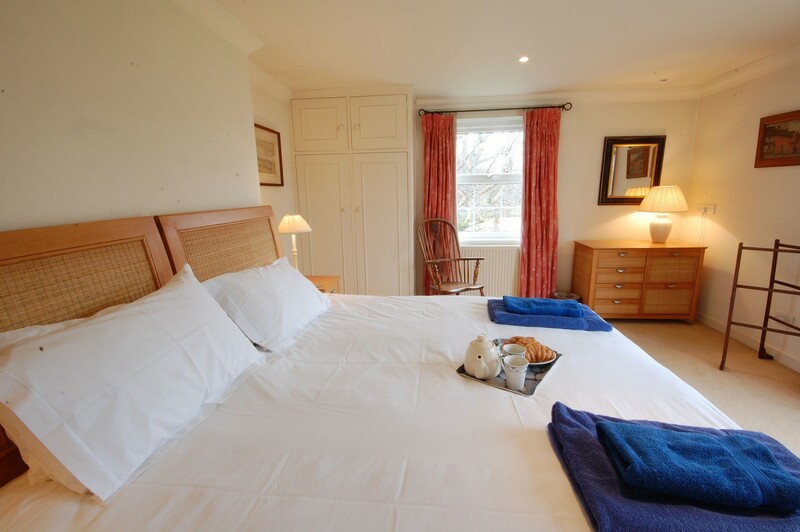 A well behaved dog is welcome if stated at the time of booking.